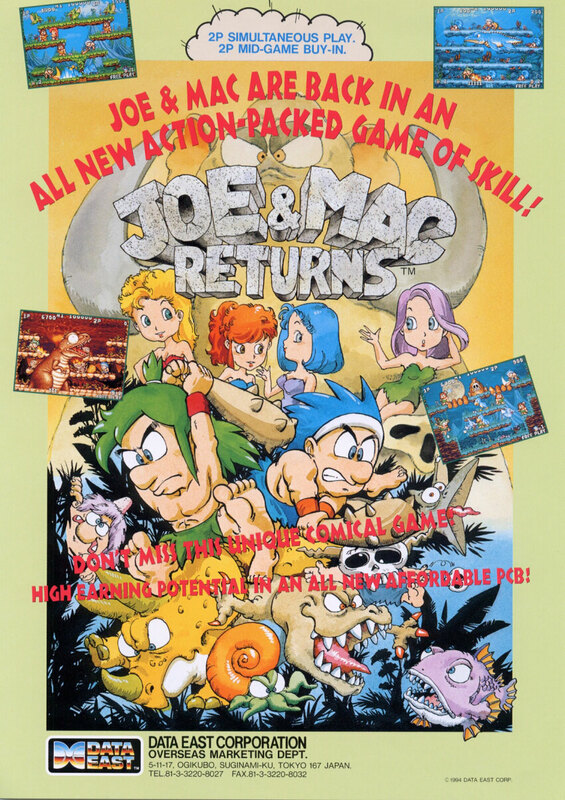 Joe And Mac Returns - FLYING TIGER ENTERTAINMENT, INC. 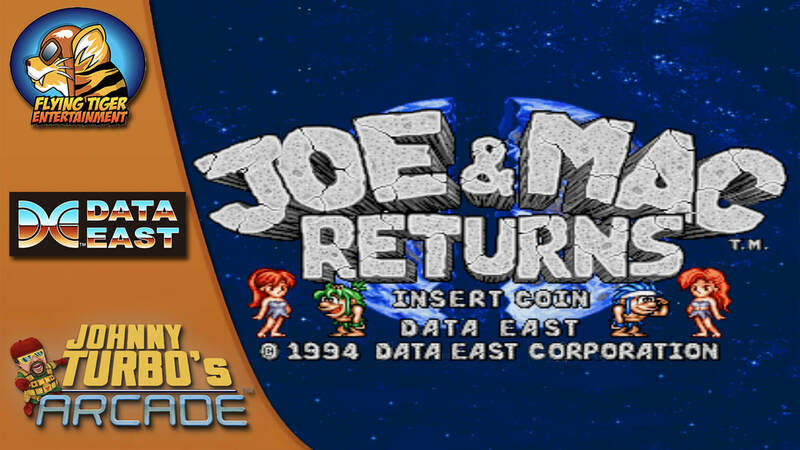 Flying Tiger’s Johnny Turbo’s arcade releases the 1990’s arcade classic, Joe & Mac Returns for Nintendo Switch Now! Los Angeles, CA - February 7, 2018 – Flying Tiger Entertainment presents the Japanese arcade hit, Joe & Mac Returns, the next action game release from Johnny Turbo’s Arcade, featuring classics by Data East™. Grab your club and get ready to go on a wild, prehistoric adventure with the Cavemen Ninjas - Joe & Mac! You helped them get their girls in the first game, now get ready to help rescue them again! The adventure continues as the green-haired Joe and the blue-haired Mac, cavemen who battle through treacherous terrain using only prehistoric weapons to fend off vicious beast and Neanderthal man alike in this beautiful sequel.